Golden amber color. Spicy aromas of frosted spice cake, dates, cherry cobbler, and walnut-honey brioche with a silky, crisp, fruity light-to-medium body and a tingling, appealing, medium-length vanilla custard, gingerbread, chocolate biscotti, and peanut brittle finish. A rock-solid go-to rye to make your cocktails shine. Bottom Line: A rock-solid go-to rye to make your cocktails shine. Blended American Whiskey is required to contain at least 20% straight whiskey; with the balance being unaged neutral spirit or, in a few cases, high-proof light whiskey. It has a general whiskey flavor profile (most closely resembling Bourbon), but lacks any defining taste characteristic. Blended whiskies date from the early 19th century when the invention of the column still made possible the production of neutral spirits. Distillers would blend one or more straight whiskies (Bourbon and Rye) with these neutral spirits in varying proportions to create their own branded blend. The taste and quality of these whiskies, then as now, varies according to the ratio of straight whiskey to neutral grain spirit. 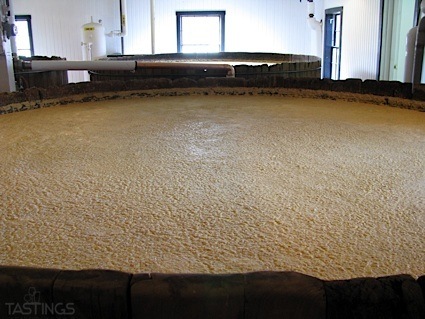 Early blends were frequently flavored with everything from sherry to plug tobacco. Compared to straight whiskies they were relatively inexpensive and bland in character. Modern blends utilize dozens of different straight whiskies to insure a consistent flavor profile. Blended American whiskies had a great sales boost during and just after World War II when distillers promoted them as a way of stretching their limited supply of straight whiskey. This sales spike did not last, however. Blended whiskies were considered to be too bland by Bourbon and Rye drinkers, and consumers with a taste for lighter spirits soon migrated to Vodka and Gin. Blended whiskies have been leading the pack in declining sales over the past few decades. 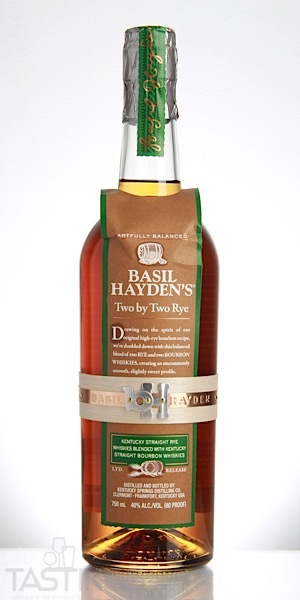 Basil Hayden’s Two By Two Rye Whiskey rating was calculated by tastings.com to be 89 points out of 100 on 10/16/2018. Please note that MSRP may have changed since the date of our review.